Anyway, the day these kvetchers banded together and slapped me with a class action suit, I knew it was time to snip this thing in the bud. I vowed there and then to bring my special skills to bear against a world that no longer appreciated me. So get ready, world. 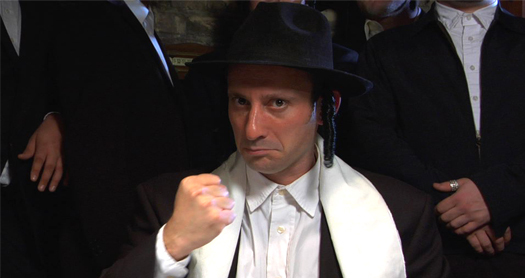 Tur-Mohel's about to teach you a lesson in "hu-briss." PS - In order to learn more about the Evil League Of Evil and their mission, please visit DrHorrible.com.